Mixing it up once again. I love using the Grandma's Garden Quilt Block Die to create fun backgrounds. 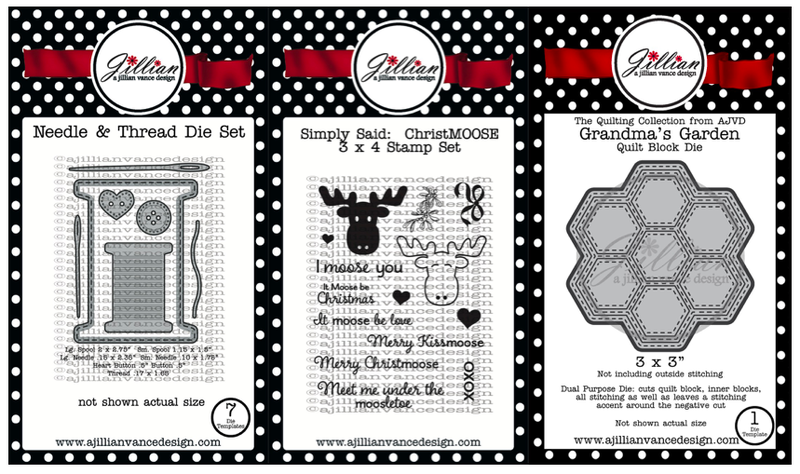 You can mix all sorts of fun patterns with this die. This moose just makes me smile. He is so fun and now I can add this to my Christmas pile. It is growing and I will be ready for Christmas. Annette this is adorable! Love this pretty BG! Just TOO cute!! I love that guy!! Great colors, and I love the hexagon background! 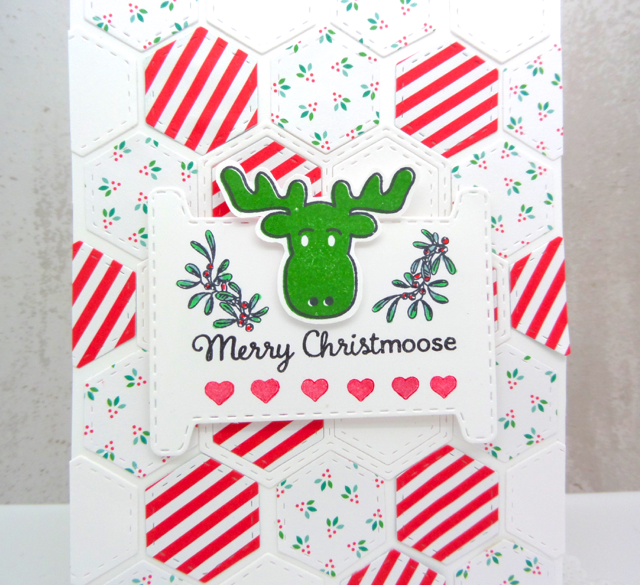 Aw...love this festive card with the cute moose, Annette! This is perfectly adorable, love the hexagons in the background!! 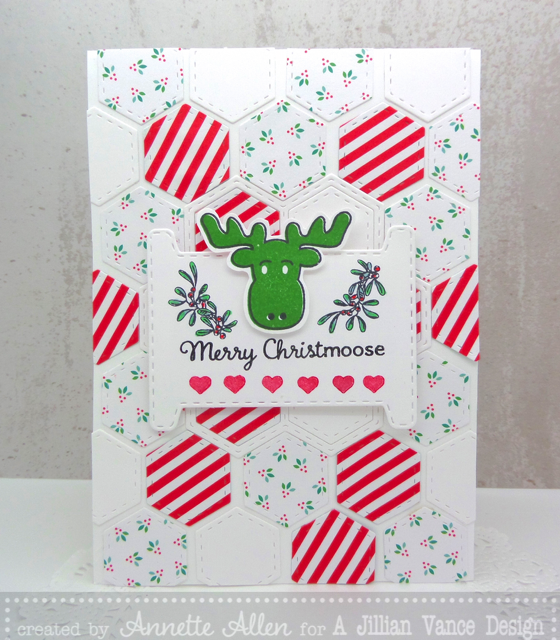 wonderful card... love the patchwork background you created! So cute Annette. Love how you used the quilting die. This is so adorable Annette! !